A "Quick Pick" is a post about specific item(s) from an establishment. I'm a McDonald's addict. I'm not going to deny it. There was a time that I would eat Mcdonald's at least once a day for around two weeks. I honestly wouldn't recommend anyone else to do that, but when you live on your own and have no culinary skills whatsoever, desperate times call for desperate measures. Those were the days that I came up with the RichieZ Quarter Pounder and my Sausage McMuffin Breakfast Quirk. The surprising thing is that after all these years, I would still easily choose McDonald's as my go-to meal. My work friends have already stopped asking me where I wanna go for lunch because they know what I'm going to answer. A ritual I have when eating Mcdonald's is that I cannot eat ANY of their burgers WITHOUT pouring in some of the BBQ Sauce of the Chicken Nuggets. It was to the point where in I would stash some extra BBQ Sauce in my ref, in the even that I end up forgetting to order it during delivery. The other night, during a McDonald's dinner run with some of my officemates, I saw a sign that caught my attention. It was for a Burger called "Big N' Tasty". How McDonald's having a new burger slipped by me, I do not know. But not having tasted it is something that I knew I must rectify IMMEDIATELY. I couldn't live with myself if I didn't. 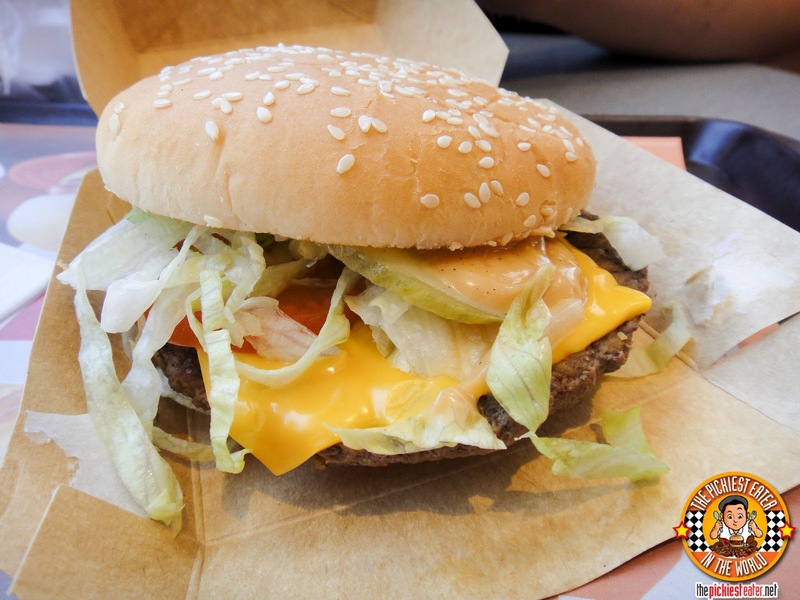 The McDonald's Big N' Tasty Burger starts off with the same patty they use for the Quarter Pounder. Which means, you're off to a great start. After that you've got shredded iceberg lettuce, Dill pickles, tomato, and a slice of American Cheese. The magic begins when you get a whiff of their "Smokey Sauce". 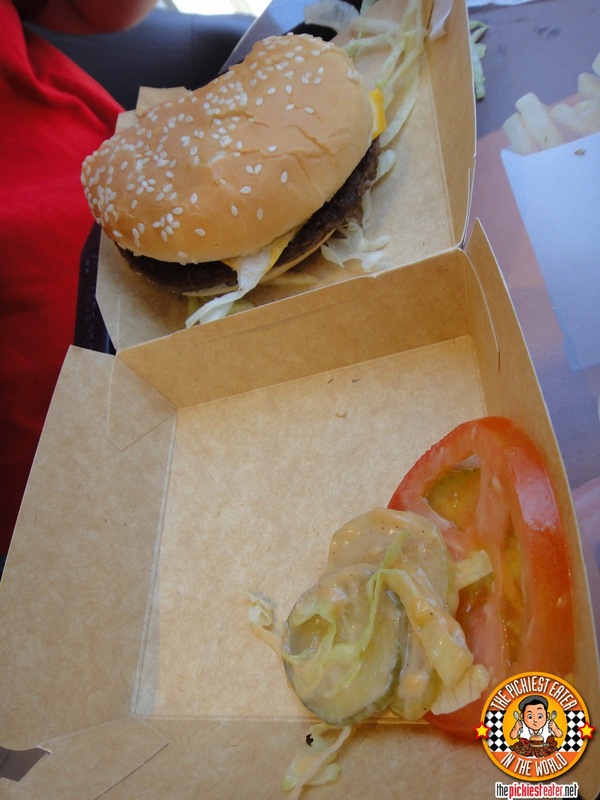 At first glance, I assumed it was either the mayo/ketchen combo of the Burger Mcdo, or the famous "Special Sauce" of the Big Mac, but upon tasting it, both theories were immediately debunked. 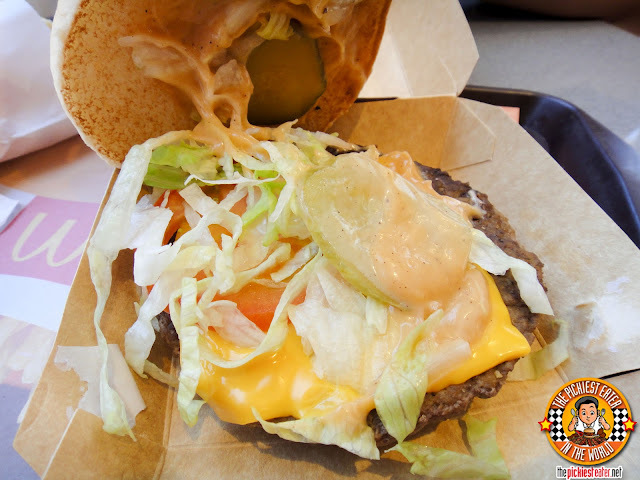 The Smokey sauce is made exclusively for the Big N' Tasty, and is really quite delicious. It does have a certain smokiness to it, blended with a bit of sweetness and pepperiness that melds wonderfully with the burger. Though I had one on hand, this was the first time IN YEARS that I ate a McDonald's burger WITHOUT drowning it in my favorite BBQ Sauce first. they'd remove it for me had I told them when I ordered it. "Thou shalt not eat McDonald's without a side of Fries" was supposed to be the "Eleventh commandment" but there was no more room in that tablet. Pretty reasonably priced, dontcha think? Give it a try and hit the comment box with your feedback! I'd love to know what ya'll think about the Big N' Tasty! 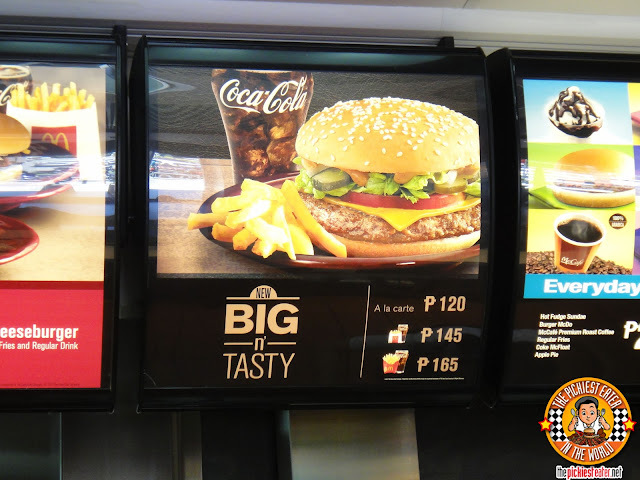 Yeah I have been curious about the Big N' Tasty. Smokey sauce huh? Everything just tastes so great with some smokey flavor. Will try to cook baby back ribs again tomorrow :D ! True true! gook luck with the ribs!! I devoured one in my car on the way to Alabang. Which just goes to show you discovered something I learned a long time ago..
Hope to meet ya at the next Breakfast Club Meeting, Spanky! Woah, haven't tried this but I've seen this one 2 days ago when I went to McDonald's for my lunch.haha. interesting huh!! but then i don't like my burger with lots of sauces. i prefer a simple mustard + catsup combination and without mayonnaise. hahaha. 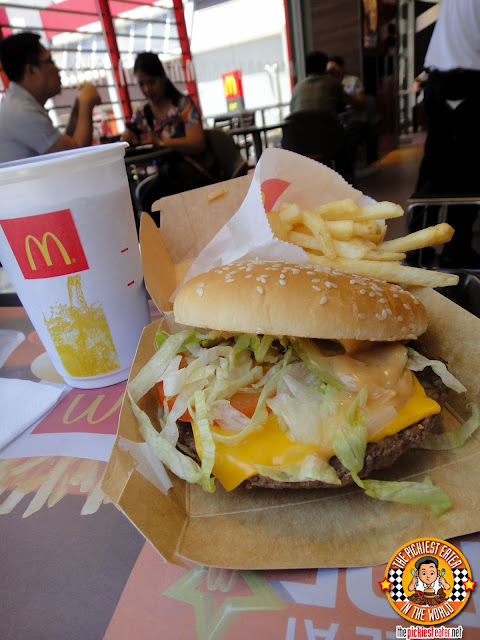 i miss mcdo! I ask mine always "Plain", meaning Patty, Bun and Cheese, then drown it in BBQ sauce myself! aww that's too bad! Thankfully my Big N' Tasty experience was much better than yours.. This looks like a counter punch to the other restaurants' "Champ". Haven't tried this yet but I can already tell it is the result of a Big Mac and a Quarter Pounder combined. I was never really a fan of barbecue flavored burgers but I think they forgot to put bacon. That's what made BK's double BBQ Cheeseburger work out so well... Bacon. No arguments from me, Midnite.. Bacon makes the world a better place! It's quite yummy.. and about your niece? The force is strong in this one. Now I have a reason to go back to McDonald's. I basically stopped eating there when they discontinued the double cheeseburger deluxe. I feel your pain Jai! It broke my heart as well when they phased out the deluxe! i'm about to dial the magic number (8MCDO that is), but i'm torn between Big n' tasty and my all time fave - Big Mac... so i had to make a little research on the new burger when i stumbled upon this post. you had me convinced. 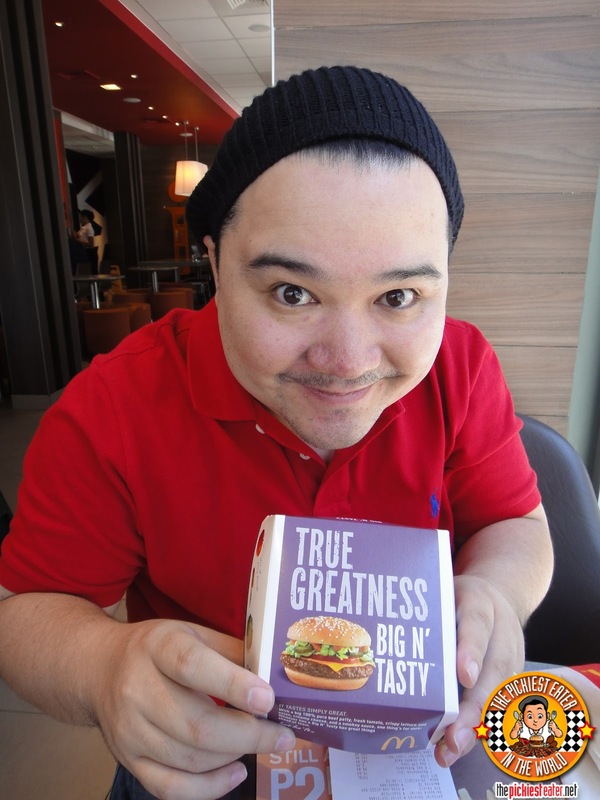 alright, Big n' tasty it is! I have been seeing posts on twitter from local celebs stating that this is surely a "must-try". I'm seriously not a fan of burgers, but seeing this and hearing different feedback (mostly GOOD feedback) makes me soooo tempted to try it. Lemme know what ya think of it Anonymous!